The Beatles ~ Here comes the sun. Keep current with ol' sol at the following links. The sun's protective bubble is shrinking. March 27, 12:56 AM Honolulu Exopolitics Examiner ~ Michael Salla, Ph.D.
Coronagraphs onboard the Solar and Heliospheric Observatory (SOHO) have just observed a bright double-ringed coronal mass ejection (CME) billowing over the sun's western limb. At present, the source of the blast is unknown Watch the movie and stay tuned for updates. The STEREO (Behind) spacecraft could see streams of plasma sliding along magnetic field lines above a sputtering active region (Jan. 26-29, 2010). The dynamic streams were just over the Sun's edge and readily spotted as the Sun rotated them more into view. Then it gets more interesting. About mid-way through the clip, a small coronal mass ejection (CME) shoots out and into space at about a million miles per hour, carrying some magnetic field with it. Most CMEs are more bulbous and wide: this one is quite narrow and contained. Nonetheless, our solar scientists agree that its speed and characteristics suggest that it was indeed a non-typical CME. Britain’s satellite navigation networks could soon experience problems and disruptions caused by higher levels of radiation coming from the Sun, scientists warn. Experts say solar flares interfere with signals from satellites orbiting the earth, causing receivers to lose track of their position. Scientists warn the Sun is now on its way to another "solar maximum", which will cause the stronger levels of radiation to hit the earth. Researchers said satnav devices were facing the threat from an expected increase in solar flares from the Sun that could cause unpredictable errors in navigation. Experts said the bursts of radiation caused by the flares interfere with signals from satellites orbiting the earth, causing receivers to fail and lose track of their position. Now British scientists say the Sun is on its way to another “solar maximum”, which will cause the stronger levels of radiation to hit the earth. It is feared this will cause satnav receivers to be blinded for minutes at a time and could result in drivers becoming lost or involved in accidents. It could also cause problems to emergency services, high-precision surveying, shipping and even military operations, they added. Prof Cathryn Mitchell, from the University of Bath, said while the sun’s affects on navigation were difficult to project, the errors could last hours or even days. “It varies quite a lot across the Earth; looking at the UK it will be about 10-metre errors in the positioning,” Prof Mitchell told the BBC. A study in 2008 found the natural light shows of the Northern Lights – or Aurora Borealis – interfere with the signals from global positioning satellites, which are used by Sat-Navs to pinpoint the locations of vehicles, boats and aircraft. Making faraday cages to protect electronic equipment. Microwave ovens are also faraday cages when grounded. This is an older solar storm warning from NASA but some questionable insiders are pulling this url up and passing it around. ~ all this stuff behind the artifact isn't dust. Michu Kako says they don't have a clue as to what this is? Possible ~ the collision of two astroids in space. He is also the person who warned about the solar flare 2012. However this may also be about the potential of somthing hitting the sun. "what Hubble saw indicates that P/2010 A2 is unlike any object ever seen before.. The key here is to learn how not to rely on electricity or get extra microwave ovens (old ones that are broken will work) to use as a faraday cage and make sure they are grounded. Store communication systems in them like walkie talkies, batteries, solar recharging system, hand held ham radio, old fashioned ringer phone, flash drives, laptop and charging units - think what you will need. I have the entire mother earth series on DVD. Stuff that is important that one can use would need to protected. "In scientific circles where solar flares, magnetic storms and other unique solar events are discussed, the occurrences of September 1-2, 1859, are the star stuff of legend. Even 144 years ago, many of Earth's inhabitants realized something momentous had just occurred. Within hours, telegraph wires in both the United States and Europe spontaneously shorted out, causing numerous fires, while the Northern Lights, solar-induced phenomena more closely associated with regions near Earth's North Pole, were documented as far south as Rome, Havana and Hawaii, with similar effects at the South Pole." "In March 1989, a solar storm much less intense than the perfect space storm of 1859 caused the Hydro-Quebec (Canada) power grid to go down for over nine hours, and the resulting damages and loss in revenue were estimated to be in the hundreds of millions of dollars." Long scorned as “mysticism” and “parascience,” concern about the year 2012 has now surfaced in a mainstream NASA report on the potential impacts on human society of solar flares anticipated to peak in 2012. The Obama administration and other national governments are not aggressively focused on contingency preparations for the 2012 solar flare impacts, or on introducing available anti-gravitic, new energy sources that would transform centralized high-power electrical grid systems into de-centralized, anti-gravitic and quantum process energy sources. These new energy sources are less vulnerable to destructive solar storms, have no negative environmental impact, and could unleash unprecedented economic and social transformation. Mainstream scientific concern about 2012 has grown since a recent National Research Council report funded by NASA and issued by the National Academy of Sciences, entitled “Severe Space Weather Events - Understanding Economic and Societal Impact” which details the potential devastation of 2012 solar storms on the current planetary energy grid and because of the inter-linkages of a cybernetic society, on our entire human civilization. According to New Scientist, science’s concern is a repetition of the 8-day 1859 “Carrington event,” a large solar flare accompanied by a coronal mass ejection (CME) that flung billions of tons of solar plasma onto the earth’s magnetosphere and disrupted Victorian-era magnetometers and the world telegraph system. The next solar maximum is expected to occur in 2012. "We're in the equivalent of an idyllic summer's day. The sun is quiet and benign, the quietest it has been for 100 years," "but it could turn the other way." The modern electrical high-power grid magnifies the impact of solar flares. Since the grid is linked into major aspects of modern society, the effects of another Carrington event would be devastating. China, which is installing a high-power electrical grid more vulnerable than that of the U.S., Europe and other developed nations will be similarly impacted. The solar coronal mass ejection from the 1859 Carrington event arrived on earth in less than 15 minutes, which is faster that our early warning system NASA's Advanced Composition Explorer (ACE) can detect. "I don't think the NAS report is scaremongering. “Scientists are conservative by nature and this group is really thoughtful," he says. "This is a fair and balanced report." According to a December 16, 2008 report, NASA’s THEMIS spacecraft has discovered a hole in earth’s magnetic field which is 10 times as large as previously thought. The magnetosphere, which is designed to protect earth from the plasma of solar flares, now has a hole in it four time the size of the earth. 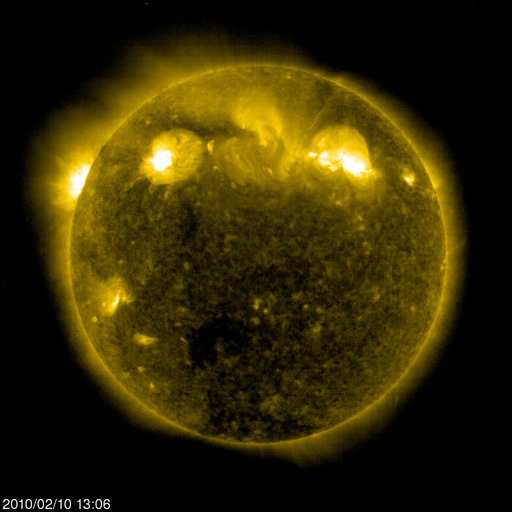 The solar maximum is expected in 2012. "We're entering Solar Cycle 24. For reasons not fully understood, CMEs in even-numbered solar cycles (like 24) tend to hit Earth with a leading edge that is magnetized north. Such a CME should open a breach and load the magnetosphere with plasma just before the storm gets underway. It's the perfect sequence for a really big event." The Obama administration and most modern governmental energy departments in the 192 U.N. member nations have focused on reducing dependence on conventional energy grids (petroleum, coal or nuclear power) by introducing renewable energy sources such as wind, geo-thermal, and tidal power. These alternative sources are thought to supply about 10% of current energy needs. This policy, which replicates energy grid policy in many advanced industrialized nations, is not adequate for the challenges of 2012 solar flares. The policy does not promote new fuel-less non-polluting energy sources now sequestered in secret, national security and black budget projects, and which have been developed using U.S. tax-payer funds. These included reported anti-gravitic technology and free energy technologies, based on Tesla technology. So here is a key question: Is human society being set up to fail and suffer an effective systems collapse with great loss of life and property if 2012 solar flares materialize in the worst case scenario? [b]Scientists Now Know: We're Not From Here! Imagine the shock of growing up in a loving family with people you call "Mum" and "Dad" and then, suddenly, learning that you are actually adopted! This same sense of shock came as scientists announced that the Sun, the Moon, our planet and its siblings, were not born into the familiar band of stars known as the Milky Way galaxy, but we actually belong to a strange formation with the unfamiliar name of the Sagittarius Dwarf galaxy! 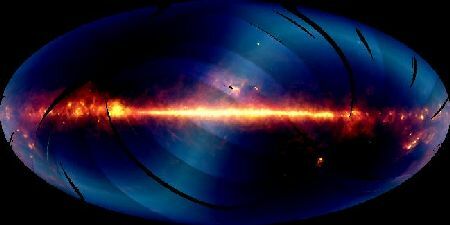 Using volumes of data from the Two-Micron All Sky Survey (2MASS), a major project to survey the sky in infrared light led by the University of Massachusetts, the astronomers are answering questions that have baffled scientists for decades and proving that our own Milky Way is consuming one of its neighbors in a dramatic display of ongoing galactic cannibalism. The study published in the Astrophysical Journal, is the first to map the full extent of the Sagittarius galaxy and show in visually vivid detail how its debris wraps around and passes through our Milky Way. Sagittarius is 10,000 times smaller in mass than the Milky Way, so it is getting stretched out, torn apart and gobbled up by the bigger Milky Way. A new infra red digital survey of the entire sky was made in 2003. Teams from the universities of Virginia and Massachusetts used a supercomputer to sort through half a billion stars to create a -- NEW STAR MAP showing our Solar System (yellow circle) to be at the exact nexus crossroads where two galaxies are actually joining. Not any more. By using infrared maps, the astronomers filtered away millions of foreground stars to focus on a type of star called an M giant. These large, infrared-bright stars are populous in the Sagittarius galaxy but uncommon in the outer Milky Way. The 2MASS infrared map of M giant stars analyzed by Majewski and collaborators is the first to give a complete view of the Milky Way galaxy's meal of Sagittarius stars, now wrapping like a spaghetti noodle around the Milky Way. Prior to this work, astronomers had detected only a few scattered pieces of the disrupted Sagittarius dwarf. Even the existence of Sagittarius was unknown until the heart of this nearest satellite galaxy of the Milky Way was discovered by a British team of astronomers in 1994. Here's an animation of the "marriage". The fact that the Milky Way is seen in the sky at an angle has always puzzled astronomers. If we originated from the Milky Way, we ought to be oriented to the galaxy's ecliptic, with the planets aligned around our Sun in much the same angle as our Sun aligns with the Milky Way. Instead, as first suggested by researcher Matthew Perkins Erwin, the odd angle suggests that our Sun is influenced by some other system. Together with data from the Two-Micron All Sky Survey we now know what it is. We actually belong to the Sagittarius Dwarf galaxy. We are from another galaxy in the process of joining with the Milky Way. 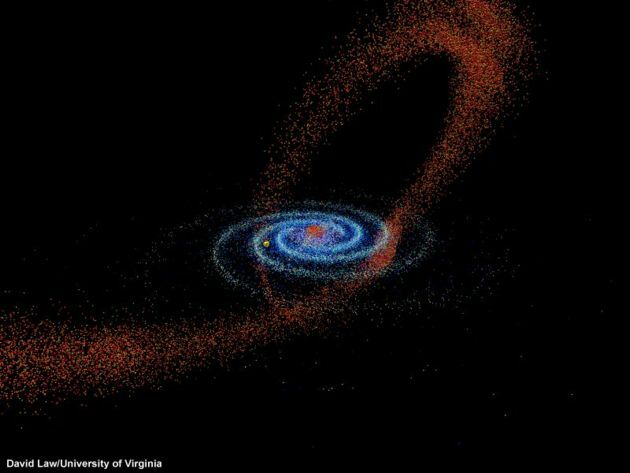 The Milky Way is actually not our parent galaxy. The mystery of why the Milky Way has always been sideways in the night sky has never been answered -- until now. 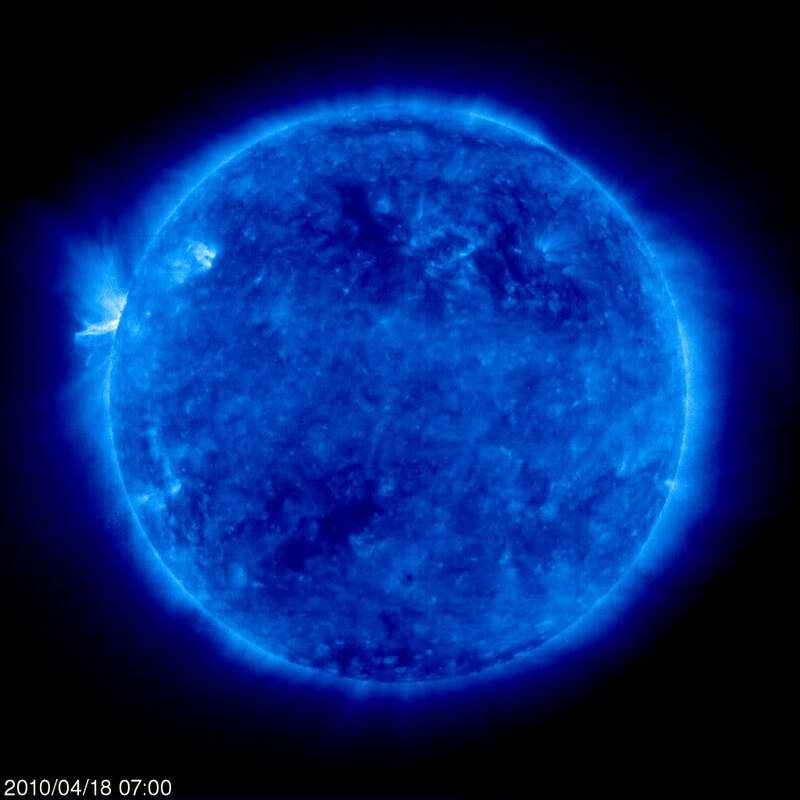 It has been postulated that this is the real reason for both global warming since higher energy levels of the Milky Way are almost certain to cause our Sun to burn hotter and emit higher energies. Indeed, temperatures have been seen to rise on virtually all the planets in our system. This seems quite apart from any local phenomenon like greenhouse gases etc. This grand turning is possibly the root cause for the discontinuation of the Mayan calendar (the most accurate on the planet) because the 'read-point' of the Pleiades star cluster, which many believe the calendar was based upon, can no longer be a constant as we begin to steer away from the earlier predictable movements. * A growth of dark spots on Pluto. * Reporting of auroras on Saturn. * Reporting of Uranus and Neptune polar shifts (They are magnetically conjugate planets), and the abrupt large-scale growth of Uranus' magnetosphere intensity. * A change in light intensity and light spot dynamics on Neptune. * The doubling of the magnetic field intensity on Jupiter (based upon 1992 data), and a series of new states and processes observed on this planet as an aftermath of a series of explosions in July 1994 [caused by "Comet" SL-9]. That is, a relaxation of a plasmoid train which excited the Jovian magnetosphere, thus inducing excessive plasma generation and it's release in the same manner as Solar coronal holes inducing an appearance of radiation belt brightening in decimeter band (13.2 and 36 cm), and the appearance of large auroral anomalies and a change of the Jupiter - Io system of currents. * A series of Martian atmosphere transformations increasing its biosphere quality. In particularly, a cloudy growth in the equator area and an unusual growth of ozone concentration. Update Note: Mars Surveyor Satellite encountered an atmospheric density double that projected by NASA upon entering a Mars orbit. This greater density bent one of the solar array arms beyond the full and open stop. This combination of events has delayed the beginning of the scheduled photo mission for one year. * A first stage atmosphere generation on the Moon, where a growing natrium atmosphere is detected that reaches 9,000 km in height. * Significant physical, chemical and optical changes observed on Venus; an inversion of dark and light spots detected for the first time, and a sharp decrease of sulfur-containing gases in its atmosphere. * A Change in the Quality of Interplanetary Space Towards an Increase in Its Interplanetary and Solar-Planetary Transmitting Properties. * The after effects of Solar Cycle 22 activity, especially as a result of fast coronal mass ejection's [CME's] of magnetized solar plasmas. We of the overarching Sagittarius Dwarf Elliptical Galaxy have finally come down next to, and even with the massively powerful spiral armed equatorial plane of the Milky Way Galaxy. In our movement through space, our Earth has now fully begun to respond to the more powerful galactic energies and electro-gravitational bias of the massive Milky Way. We have reached the higher energy equatorial disc region of the massive spiral arm. We have now been "adopted" by a new system, a stronger and more powerful system, and we can expect changes on almost every level of energy. Whatever these changes are, they are all part of the natural birth, death, rebirth and transformation of the cosmos. As our knowledge of the universe grows, we cannot but understand how much we do not understand. Such is life. Siberian Department of Russian Academy of Sciences. Expert on Global Ecology, and Fast -Processing Earth Events. Current PlanetoPhysical alterations of the Earth are becoming irreversible. Strong evidence exists that these transformations are being caused by highly charged material and energetic non-uniformity's in anisotropic interstellar space which have broken into the interplanetary area of our Solar System. This "donation" of energy is producing hybrid processes and excited energy states in all planets, as well as the Sun. Effects here on Earth are to be found in the acceleration of the magnetic pole shift, in the vertical and horizontal ozone content distribution, and in the increased frequency and magnitude of significant catastrophic climatic events. There is growing probability that we are moving into a rapid temperature instability period similar to the one that took place 10,000 years ago. The adaptive responses of the biosphere, and humanity, to these new conditions may lead to a total global revision of the range of species and life on Earth. It is only through a deep understanding of the fundamental changes taking place in the natural environment surrounding us that politicians, and citizens a like, will be able to achieve balance with the renewing flow of PlanetoPhysical states and processes. The climatic and biosphere processes here on Earth (through a tightly connected feedback system) are directly impacted by, and linked back to, the general overall transformational processes taking place in our Solar System. We must begin to organize our attention and thinking to understand that climatic changes on Earth are only one part, or link, in a whole chain of events taking place in our Heliosphere. In the ionosphere by plasma generation. In the magnetosphere by magnetic storms. In the atmosphere by cyclones. This high-energy atmospheric phenomena, which was rare in the past, is now becoming more frequent, intense, and changed in its nature. The material composition of the gas-plasma envelope is also being transformed. It is quite natural for the whole biota of the Earth to be subjected to these changing conditions of the electromagnetic field, and to the significant deep alterations of Earth's climatic machinery. These fundamental processes of change create a demand within all of Earth's life organisms for new forms of adaptation. The natural development of these new forms may lead to a total global revision of the range of species, and life, on Earth . New deeper qualities of life itself may come forth, bringing the new physical state of the Earth to an equilibrium with the new organismic possibilities of development, reproduction, and perfection. In this sense it is evident that we are faced with a problem of the adaptation of humanity to this new state of the Earth; new conditions on Earth whose biospheric qualities are varying, and non-uniformly distributed. Therefore the current period of transformation is transient, and the transition of life's representatives to the future may take place only after a deep evaluation of what it will take to comply with these new Earthly biospheric conditions. Each living representative on Earth will be getting a thorough "examination," or "quality control inspection," to determine it's ability to comply with these new conditions.These evolutionary challenges always require effort, or endurance, be it individual organisms, species, or communities. Therefore, it is not only the climate that is becoming new, but we as human beings are experiencing a global change in the vital processes of living organisms, or life itself; which is yet another link in the total process. We cannot treat such things separately, or individually. are there. These UFOs may be as large as planet Earth." Huge waves rippling across the sun for the past two days. Earthquakes Coming? I'd say yes after our 4.4 last night. Some intersting observations from nasa.. This article is from February 2010 - please pay attention! 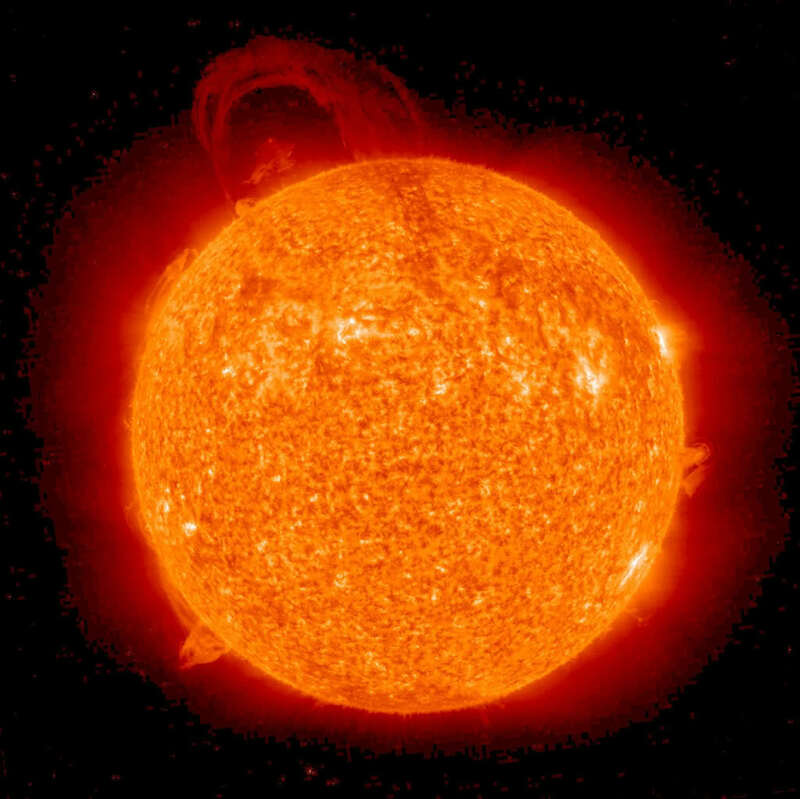 Scientists warned yesterday that a peak in solar activity is due to occur in 2012, risking the disruption of television and internet networks during the London Olympic Games. 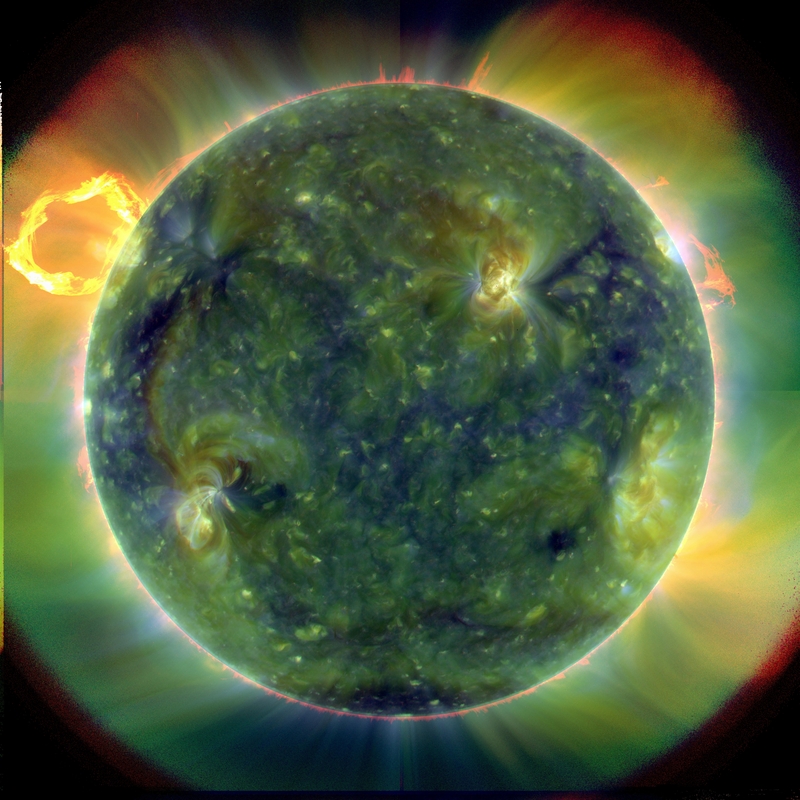 “The Olympics could be bang in the middle of a solar maximum,” said Richard Harrison, of the Rutherford Appleton Laboratory, Oxfordshire, speaking before the launch this week of Nasa’s Solar Dynamics Observatory. It has long been known that surges in solar activity can cause disruption in satellite and terrestrial communications systems, but, until now, it has been almost impossible to predict solar storms in advance. After the launch of Nasa’s solar observatory, scientists say that they will be able to give warning of magnetic storms and solar flares. This is what Paul and I are concerned about and this is were we are putting our attention and intention. I had read recent reports to expect something this fall. With increased solar activity it is very likely that the net will go down. We've asked MP3 to transfer the Avalon Library info here so we can have it spread out across the net giving folks access to public info and data. Please download onto hard copies for your records as this info is free and still available. Being self-sustainable is the key. Store up on water, rice, oatmeal, honey, black or pinto beans and lentils. If you get a sprouter kit you can do quite well. Coffee and tea too. I even use the Progresso canned beans or lentils and put it over cooked rice with a little cheese and onion on top. Delicious. If you buy cheese with the wax on it as a cover it will last quite well as does dried salami. Survivalism expert Jim Rawles discussed the mindset of preparedness in an uncertain world, and the wild cards to prepare for including solar flares, EMP attacks, & global economic collapse. "I try to encourage people to get squared away on what I refer to as 'beans, bullets, and Band-aids,' essentially everything people would need for a major disaster," he said, noting that normal commerce could be disrupted in number of scenarios. Among the most important items for people to have are good quality water filters (such as Katadyn or British Berkefeld), as you may need to collect water from open sources, he detailed. A first-aid kit, wind-up radio, canned & dried foods, firearms, cash, and alternative communication devices like a CB radio are among the additional items he mentioned. Rawles stressed that training is even more important than the supplies. For instance, if you don't know how to use a gun or perform first-aid, the items are useless. The power grid in the United States is particularly vulnerable to an EMP (electromagnetic pulse) attack or an X-Flare from the sun (like the Carrington Event of 1859). Such occurrences could knock out radio, telecommunications, GPS, and even cars might not work-- a cascade of events which could "bring us to our knees," Rawles pointed out. He recommended that people move to lightly populated farming regions, if they are able to. Scientists are learning to predict giant solar storms that could, at any time, hit the Earth and produce cascading catastrophes. This statement comes from the highest esteemed agency -- The National Science Foundation. The NSF is internationally known for its extremely careful release of information to maintain its reputation of credibility. A coronal mass ejection (CME) is a discharge of 'charged particles' sometimes referred to as 'plasma' from our Sun. CME's are almost always associated with sunspots and solar flares. If a CME is Earth directed, it can cause severe damage from power grid failures to earthquakes. As mentioned in previous articles, the NSF has endorsed my 1998 Sun-Earth Equation (see below). Today's announcement has issued a heads-up warning suggesting our current solar cycle, Cycle 24, could in fact possess a serious, if not record-breaking coronal mass ejection (CME) which could bring the world to its knees. Today's NSF warning of future hazards has in fact happened on three occasions in recorded history. Note: The term "recorded history" reflects an extremely short period of time capturing a mere approximate 200 year span. This is to say; although I am speaking of a possible 4th event which could be labeled as "record-breaking", it does not consider the fact the Earth has experienced such an event thousands -- if not hundreds of thousands -- of times during Earth's life history. However, such an event occurring within the next 2 to 4 years would cause unmatched devastation due to our current electro-magnetic technological advancements. The first and most spectacular event occurred on September 1st 1859. The Sun unleashed a massive record-breaking coronal mass ejection (CME), speeding through our solar system at nearly the speed of light (671 million per hour - or 186,282 per second), hitting Earth's magnetic field. This caused the largest geomagnetic storm ever recorded setting off auroras across half the world almost reaching into Central America just short of the equator. To give perspective; the average solar storm sets off auroras which cover Alaska and maybe down into northern Canada. This event has become known as the Carrington Storm or Carrington Event, named after Richard Carrington, a member of the Royal Astronomical Society, observing Sunspots through a telescope, making the first-ever observation of a white-light flare -- a huge explosion erupting on the solar surface. The explosion observed by Carrington signaled the ejection from the Sun of an interplanetary hurricane directed at Earth. Approaching at 5 million miles per hour, it struck 18 hours later and immersed the planet in the biggest magnetic storm ever recorded. The second Carrington Event occurred March 15th 1989 with Quebec, Canada as its epicenter. A wave of ten X-class solar flares set off in rapid succession which was Earth directed knocking out Quebec's largest power grid. 6,000,000.00 people went without power during one of Montreal's worse ice storms. A great number of the population went without power for up to three weeks. The community survived by relying on their neighbors. Homes with a fireplace were the only source of warmth for thousands. The third Carrington Event was actually a 'near-miss' occurrence. It occurred on November 4th 2003 and is also known as The Halloween Event. The sunspot group had just rotated around the Sun's western limb before exploding. If it had been Earth directed, no one is quite sure what the devastating results would be. This was the largest solar flare ever recorded measuring an X-45. It literally sent NOAA's and the USAF measuring instruments off-the-scale. They had to recalibrate their instruments which will now read solar events beyond X-50. CMEs are associated with peaks in the activity of sunspots, which are knots of magnetism on the Sun's surface generated by subsurface movements of solar material. (Sunspots appear dark because they are cooler and therefore less bright than their hotter surroundings.) Sunspot activity peaks about every 11 years; this 11-year cycle is, in turn, related to a 22-year cycle of reversals in the Sun's magnetic field. During a typical 11-year sunspot cycle, the Sun hurls about 100 severe CMEs and about four extreme CMEs into the solar system--only a fraction of which usually hit the Earth. Such CMEs are most likely to occur during peaks in sunspot activity, and are less likely to occur during periods of low sunspot activity. CMEs still occur during periods of low sunspot activity; but they are just fewer and further between than during active sunspot periods. It is still very possible for a fierce geomagnetic storm to occur during a solar minimum. The 1859 geomagnetic storm was the largest storm ever recorded; "but there is absolutely no reason why the Earth couldn't be hit by an equally or even more violent geomagnetic storm today, tomorrow, or the next day," said Sarah Gibson of the National Center for Atmospheric Research (NCAR) in Boulder, Colo.
Because scientists vigilantly watch for CMEs through high-tech telescopes and because it usually takes two or three days for most of a CME's impacts to reach the Earth, scientists can anticipate geomagnetic storms once Earth-directed CMEs start. Nevertheless, scientists cannot yet forecast when CMEs will start. With funding from the National Science Foundation, scientists at NCAR are currently using various methods to improve their understanding of CMEs and their ability to forecast them. Among these methods are computer simulations of CMEs that describe their physical properties based on conditions on the Sun and Earth and the laws of magnetism, electricity, gravity and thermodynamics--as shown in the above image and an animated simulation of a CME. Some simulations are based on hypothetical data that is designed to reflect typical solar events. But other simulations are based on specific data collected on a particular day and are designed to recreate actual CMEs. Data incorporated into such simulations may include, for example, the Earth's position relative to the Sun during the CME; the mass, composition, size and electrical charge of the CME; and conditions immediately around the Earth upon the CME's arrival. By comparing their simulation with direct observations of the real-life CME it was designed to recreate, scientists can evaluate their simulation's accuracy and improve it. Haleakala Observatory is one of the most important observing sites in the world. Lying above the tropical inversion layer it experiences superb seeing conditions and dominant clear skies. The University of Hawaii Institute for Astronomy has managed this site for over 4 decades as a location for conducting dedicated astrophysical experiments. In most cases these are programs that could not be conducted anywhere else on Earth. Currently we have partners from the National Science Foundation, NASA, the Pan-STARRS consortium, Space Telescope Science Institute, Tohoku University in Japan, the Air Force and others working with us on the summit. Mauna Loa Observatory (MLO) is a premier atmospheric research facility that has been continuously monitoring and collecting data related to atmospheric change since the 1950's. The undisturbed air, remote location, and minimal influences of vegetation and human activity at MLO are ideal for monitoring consituents in the atmosphere that can cause climate change. The observatory is part of the National Oceanic and Atmospheric Administration (NOAA) - Earth System Research Laboratory (ESRL) - Global Monitoring Division (GMD). Is talking about that "earth, mars, saturn and titan" were not born here in this solar system. In fact saturn was our sun so called "proto saturn" he also goes into what kind of sun saturn was, a brown dwarf star. These systems tend to be the most thriveing where the brown dwarf star emits material towards the surrounding planets. The Aborigines is talk about the purple sky of creation. Being on a planet orbiting a brown dwarf you will not see the stars since you will be in a constant glow of UV and won't see through the layer that the star emits. What he discovered was that earth, mars and saturn all have the same tilt on the axel. Therefore, they seem to be connected in some way. Also, accoring to him, what happened was that our old solar system was drawn into the current system that were in now. Our new sun absorbed the power of our old sun (proto saturn) and closed it. Mars ended up too far away from the sun to support the life on the planet so they died or fled. Titan smashed into an old planet in this system and was destroyed along with the people on Titan. Earth caught one of Titans moons. Accoring to him this wasn't to long ago, humans existed. This was the time of great cataclysms on the earth cause by the turbulence in the solar system. Atlantis was destroyed and Eden was no longer Eden. Climate changes were severe because living near a brown dwarf has the effect that the climate is disrupted throughout the entire planet, thus the old rain forests ended up under the polar ice, etc. For the first time humans could see the stars and we started to wonder what was beoynd our heaven. Also, he states a farily good question, this is the best climate for someone to live in, referring to orbiting a brown dwarf; the planets orbit it fairly close but the backside is that they can't see the stars. So if any intelligent life is there, they won't know if they havent reached interstellar technology other than that they orbit a star, and have so other planets around them. Therefore, why would the try to contact us when they don't even know anything else exists ? One doesn't long for anything one doesn't know anything about, right? I heard the recent Red Ice Radio interview (only the 1st hour) With Wallace Thornhill......Good Interview. Not being a scientist myself, I thought....how about a balanced yet critical (MS) scientific interpretation of the "Electric Universe"? So I searched through a few scientific discussion forums and found the overall attitude, shown towards anyone who mentioned "Electric Universe" too be, in the main, dismissive, child like, and even hostile, in short, classic knee jerk reactions. Not a very scientific attitude, to this relatively impartial observer's way of thinking. What I would really like to see/hear is a meeting of the minds between Thornhill & Haramein. I feel they would both (or one of them) make their (his) paradigm shift/s in mainstream science in a much shorter time. The holographic universe is someting I have been interested in for a few years. should answer many of your questions. Found this from a post on PA2 from godlikeproductions. TERRESTRIAL GAMMA-RAY FLASHES: There's a mystery in the skies of Earth. Something is producing bright flashes of gamma radiation in the upper atmosphere of our own planet. A spacecraft called 'Firefly' is going to investigate. January 29, 2010: High-energy bursts of gamma rays typically occur far out in space, perhaps near black holes or other high-energy cosmic phenomena. So imagine scientists' surprise in the mid-1990s when they found these powerful gamma ray flashes happening right here on Earth, in the skies overhead. They're called Terrestrial Gamma-ray Flashes, or TGFs, and very little is known about them. They seem to have a connection with lightning, but TGFs themselves are something entirely different. "In fact," says Doug Rowland of NASA's Goddard Space Flight Center, "before the 1990s nobody knew they even existed. And yet they're the most potent natural particle accelerators on Earth." Individual particles in a TGF acquire a huge amount of energy, sometimes in excess of 20 mega-electron volts (MeV). In contrast, the colorful auroras that light up the skies at high latitudes are powered by particles with less than one thousandth as much energy. At this stage, there are more questions about TGFs than answers. What causes these high-energy flashes? Do they help trigger lightning--or does lightning trigger them? Could they be responsible for some of the high-energy particles in the Van Allen radiation belts, which can damage satellites? To investigate, Rowland and his colleagues at GSFC, Siena College, Universities Space Research Association, and the Hawk Institute for Space Sciences are planning to launch an NSF-funded* satellite called Firefly in 2010 or 2011. Because of its small size, similar to a football, Firefly will cost less than $1 million — about 100 times cheaper than what full-sized satellite missions normally cost. Part of the cost savings comes from launching Firefly under the National Science Foundation's CubeSat program, which launches small satellites as "stowaways" aboard rockets carrying larger satellites into space, rather than requiring dedicated rocket launches. If successful, Firefly will return the first simultaneous measurements of TGFs and lightning. Most of what's known about TGFs to date has been learned from missions meant to observe gamma rays coming from deep space, such as NASA's Compton Gamma Ray Observatory, which discovered TGFs in 1994. As it stared out into space, Compton caught fleeting glimpses of gamma rays out of the corner of its eye, so to speak. The powerful flashes were coming--surprise!--from Earth's atmosphere. In the skies above a thunderstorm, powerful electric fields generated by the storm stretch upward for many miles into the upper atmosphere. These electric fields accelerate free electrons, whisking them to speeds approaching the speed of light. When these ultra-high speed electrons collide with molecules in the air, the collisions release high-energy gamma rays as well as more electrons, setting up a cascade of collisions and perhaps more TGFs. To the eye, a TGF probably wouldn't look like much. Unlike lightning, most of a TGF's energy is released as invisible gamma rays, not visible light. They don't produce colorful bursts of light like sprites and other lightning-related phenomena. Nevertheless, these unseen eruptions could help explain why brilliant lightning strikes occur. The idea of a new planet being discovered in our Solar System is pretty exciting. Even more so because of the many theories about "planet-x" or "Nibiru" being associated with space aliens and the doomsday prophecies of 2012. Scientists at places like NASA and famous observatories have deflected inquiries about the discovery for a few years now, mainly because they feared being associated with these "fringe" theories. But like it or not -- it has happened. Well... according to a team of Spanish artronomers who call themselves the StarViewer Team. The group made the rounds of all the news web sites in the past two weeks, claiming they discovered something very significant. It's almost twice the size of Jupiter and just beyond our furthest planetoid, Pluto. Although it's not a planet, it appears to have planets or large satellites encircling it. It's what astronomers call a "brown dwarf star" and its official name is "G1.9". What's a Brown Dwarf Star? First we'll explain WHAT these astronomers have discovered. Then we'll discuss HOW they discovered it. At the risk of being scientifically vague, I'll try to explain the current understanding of how stars and planets form in space. All matter attracts other matter. A larger mass will attract smaller masses towards it. In space this results in growing clouds of matter that tend to clump together and attract more matter. Since most of the matter in space is gaseous, these clouds eventually get so dense that they collapse into dense gaseous spheres. When they do this there is usually some "left over" matter that forms a ring around the sphere. If there is enough matter in a sphere of hydrogen, for example, it can cause so much compression at the shpere's core that the hydrogen atoms begin to fuse together and a fusion-reaction ignites a new born star. In this reaction two hydrogen atoms join together to form one helium atom and release extra energy as radiation. Scientists believe that the minimum mass needed to ignite a sun is about 13 times the known mass of the planet Jupiter -- written as "13MJ." If the mass is lower than this, the pressure in the core is not enough to ignite and the sphere will be hot ball of gas called a "brown dwarf." As a new star spins, the disk surrounding it gradually cools and the matter forms heavier elements like metals and minerals. These "rocks" eventually clump together and form solid spheres called planets. Sometimes a solid sphere will attract some of the gas that is in the disk and this will result in a gaseous giant, like Jupiter and Saturn, which has a solid core but a thick gaseous atmosphere. These "gas giant" planets can be very massive but, because of their solid cores, they will never ignite and become stars. This newly discovered "brown dwarf" is believed to have formed from the same condensed matter that gave birth to our Sun. It is believed that, after the large planets formed around the Sun, they pushed it to the edge of the Solar system where it formed a sphere about 1.9MJ -- well below the mass needed to ignite it as a "sun." The mythological Nemesis was the spirit of divine retribution against those who succumb to hubris, vengeful fate personified as a remorseless goddess. The name Nemesis is related to the Greek word meaning "to give what is due". Nemesis is now often used as a term to describe one's worst enemy, normally someone or something that is the exact opposite of oneself but is also somehow similar. For example, Professor Moriarty is frequently described as the nemesis of Sherlock Holmes. "Opposite yet similar" is the perfect description for a companion to our Sun. But the name Nemesis also implies a sinister nature. Will this new Nemesis be beneficial or harmful to our lives? Space appears relatively free of debris [see image above] inside the planetary orbits. This is because the gravitational pull of each planet (a large mass) effectively collects the interplanetary debris (small mass). But there are exceptions. Between Mars and Jupiter you will see a ring of debris called The Asteroid Belt. It is believed that a planet once orbited in this area before it was pulverized by some type of impact. Many theorists believe this was caused by a rogue planet that entered the Solar System -- again hinting at the existence of some unknown member of our planetary system. Beyond the furthest planetoid, Pluto, there is a large ring of debris called the Kuiper Belt. While the asteroid belt is composed primarily of rock and metal, the Kuiper belt objects are composed largely of frozen volatiles (termed "ices"), such as methane, ammonia and water. As we get to the edge of the Solar System we enter another debris zone, the Oort Cloud. The Oort is not a band of debris but rather a spherical shell that surrounds the Solar System and extends out to the edge of the Sun's gravitational field. This region is thought to contain frozen clumps of water, methane, ethane, carbon monoxide and hydrogen cyanide. It's also the birth place of comets. However, the discovery of the object 1996-PW, an asteroid in an orbit more typical of a long-period comet, suggests that the cloud may also be home to rocky objects. Note: The dark spot [top right] in the northern hemisphere of Jupiter where the asteroid impact was. You might well ask why astronomers have never detected this object before. In fact they did. G1.9 was first identified as a "supernova remnant" in 1984 by Dave Green of the University of Cambridge and later studied in greater detail with NRAO's Very Large Array radio telescope in 1985. Because it was unusually small for a supernova it was thought to be young -- less than about 1000 years old. But in 2007, X-ray observations made with NASA's Chandra X-ray Observatory revealed that the object was much larger than the last time it was observed! It had grown in size by 16%. Puzzled by this observation, the Very Large Array repeated its observations of 23 years ago and verified that it had increased in size considerably. Knowing that supernova do not expand this quickly, unless they have just exploded, they explained that G1.9 must be a "very young" supernova -- perhaps not more than 150 years old. But no record of a visible supernova has been found corresponding to that historical period (about the time of the American Civil War). The object, G1.9 is currently located in the direction of our Galaxy's center, Sagittarius, which glows bright in this infrared spectrum image. Because of the bright background G1.9 is not visible in normal light wavelengths. What's happened to our Sun? Last week, it produced one of the most power eruptive prominences ever seen. Pictured above, the prominence erupted in only a few hours and was captured in movie form by NASA's twin Sun-orbiting STEREO satellites. Newest NASA picture of the sun, from the satellite launched two months ago.Spectacular...! Nov. 8, 2010: Prompted by a recent increase in solar activity, more than a hundred researchers and government officials are converging on Helwan, Egypt, to discuss a matter of global importance: storms from the sun. The “First Workshop of the International Space Weather Initiative (ISWI)” meets Nov. 6th through 10th and is convened by the United Nations, the National Aeronautics and Space Administration (NASA), and the Japan Aerospace Exploration Agency (JAXA). "Strong solar storms can knock out power, disable satellites, and scramble GPS," says meeting organizer and ISWI executive director Joe Davila of NASA's Goddard Space Flight Center. "This meeting will help us prepare for the next big event." A key problem organizers hope to solve is a gap--many gaps, actually---in storm coverage around our planet. When a big storm is underway, waves of ionization ripple through Earth’s upper atmosphere, electric currents flow through the topsoil, and the whole planet's magnetic field begins to shake. "These are global phenomena," says Davila, "so we need to be able to monitor them all around the world." Industrialized countries tend to have an abundance of monitoring stations. They can keep track of local magnetism, ground currents, and ionization, and provide the data to researchers. Developing countries are where the gaps are, particularly at low latitudes around Earth's magnetic equator. Although space weather is usually associated with Earth's polar regions--think, "Northern Lights"--the equator can be just as interesting. For example, there is a phenomenon in Earth's upper atmosphere called the "equatorial anomaly." It is, essentially, a fountain of ionization that circles the globe once a day, always keeping its spout toward the sun. During solar storms, the equatorial anomaly can intensify and shape-shift, bending GPS signals in unexpected ways and making normal radio communications impossible. It's no coincidence that the inaugural meeting of the ISWI is being held in Egypt, an equatorial country. Of 30 nations sending representatives to the ISWI, more than two-thirds are clustered around the magnetic equator. This could lead to a revolution in studies of low-latitude space weather. A map of ISWI-brokered space weather monitoring stations. Prospective participants should visit the ISWI home page to learn more about available projects and how to become involved. There is much to do beyond the equator, too. During the meeting, researchers and students will learn how they can set up monitoring stations for cosmic rays, ground currents, magnetic storms, and auroras. There’s a phenomenon for every latitude and level of expertise. "We are offering a whole buffet of research opportunities," says Davila. Researchers who miss the first meeting will get many more chances. The International Space Weather Initiative is an ongoing program with get-togethers planned on an annual basis at different spots around the world. The next meeting will be held in Nigeria in November 2011. No country is too remote, too small, or too poor to participate. Indeed, notes Davila, "the smallest most out of the way places are often where data are needed most. Everyone is invited." The sun unleashed its strongest solar flare in four years Monday night, hurling a massive wave of charged particles from electrified gas into space and toward Earth. The solar storm sent a flash of radiation that hit Earth in a matter of minutes. Now a huge cloud of charged particles is headed our way. These coronal mass ejections, as they are called, typically take about 24 hours or more to arrive. They can spark spectacular displays of the aurora borealis, or northern lights, at high latitudes and sometimes even into the northern United States. The mega flare, which registered as a Class X2.2 flare on the scale of solar flares, was the first class X flare to occur in the new solar cycle of activity, which began last year. The sun is now ramping up toward a solar maximum around 2013. "It has been the largest flare since Dec. 6, 2006, so a long time coming," said Phil Chamberlin, deputy project scientist for NASA's Solar Dynamics Observatory, which observed the flare. "There were some clues that led us to believe the likelihood of moderate to large flares (M class or above) could occur, but we were all surprised when it actually happened to be a large X-class." Class X flares are the strongest types of solar flares that can erupt from the sun. There are also two weaker categories: Class M flares, which are medium strength but still powerful, and Class C flares, which are the weakest storms from the sun. Last night's X2.2 flare is the most powerful solar eruption of the sun's current weather cycle, called Solar Cycle 24. According to the website Spaceweather.com, which monitors space weather and skywatching events, the flare was the strongest of the last four years. "It just means that Solar Cycle 24 is ramping up!" Chamberlin told Space.com. "This is the first of probably many more X-class flares to occur over the next 2 to 4 years as we reach the peak and then descend back down from solar cycle 24 maximum." The Monday flare came on the heels of another, only slightly less powerful, class M6.6 flare on Sunday, Feb. 13. Both events erupted from the same area on the sun, called active region 1158. "AR 1158 is in the southern hemisphere, which has been lagging the north in activity but now leads in big flares!" NASA scientists wrote on the Solar Dynamics Observatory website. Yesterday's Class X flare erupted at 8:50 p.m. EST. Such a flare can bathe the Earth in high doses of ultraviolet radiation and X-rays hurl a huge burst of solar wind in our direction. When this burst arrives at Earth, the electrons and protons from the solar wind come into contact with our planet's magnetic field, and stream toward the magnetic poles. The disturbance can create a geomagnetic storm in Earth's magnetic field. "Geomagnetic storms are possible when the CME arrives 36 to 48 hours hence," Spaceweather.com reported.